As I was getting to work, I realized that sometimes there are things we do that bring back some great memories. 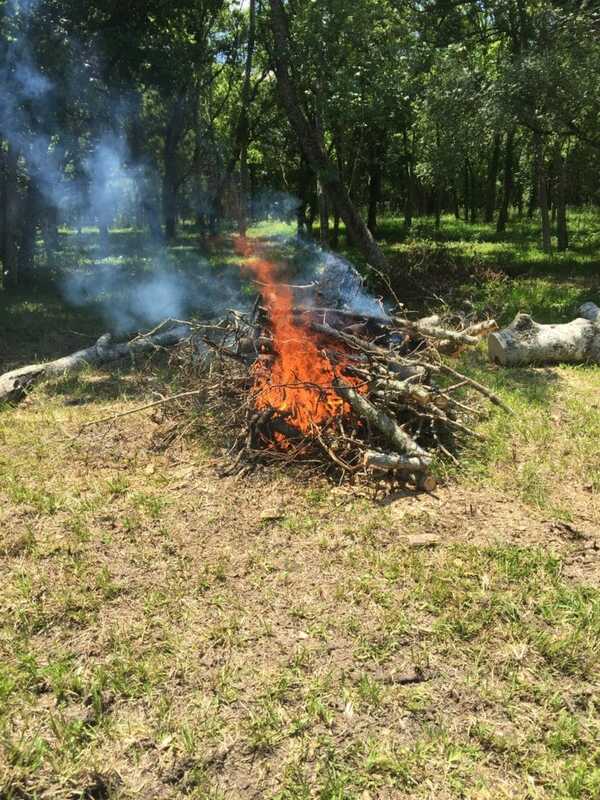 As I was trying to get this fire started I remember my dad always saying “just pile it up, you know your Uncle Bill will be out here any minute”. We always joked that my uncle might be a closet pyromaniac as he always showed up when we were mowing and burning. He would call out and ask my dad what he was doing and my dad would tell him “mowing and burning”. It wouldn’t be long till I would see him pulling in. My uncle was the master fire builder in the family, just like Eddie Murphy’s dad, “wanna eat, wanna eat, get me two gallons of gas, now thats a fire!”. Looks like I might have picked up on a few things! Previous Post 15 days feels like forever! Next Post Slowly but surely it’s clearing!